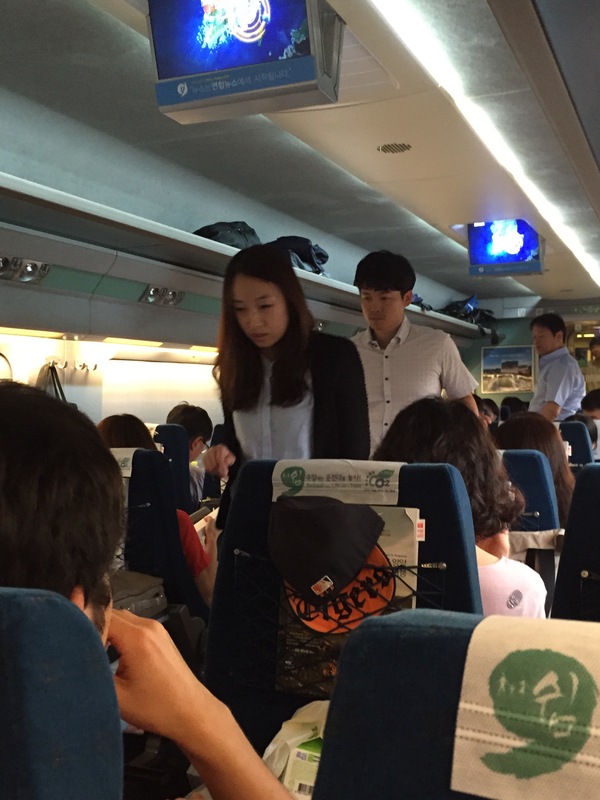 Today we head off to Busan for Labor Day! No the Koreans don’t celebrate Labor Day, but we do and I am really looking forward to getting out of Seoul and doing some exploring. Busan is known for its beaches, namely Haeundae Beach which is South Korea’s largest beach and where we will be setting up base camp! Busan is the second largest city in South Korea (Seoul is of course the largest) and is located at the southern tip of South Korea. 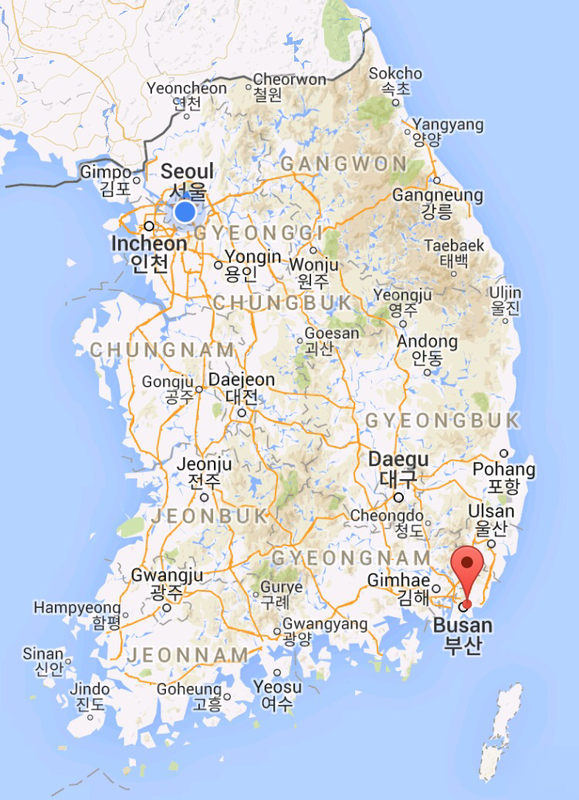 The drive to Busan is about 4 hours and 30 minutes, depending on which part of Busan you will be staying. We decided that it would be best to take the train so that no one needs to do the long drive. 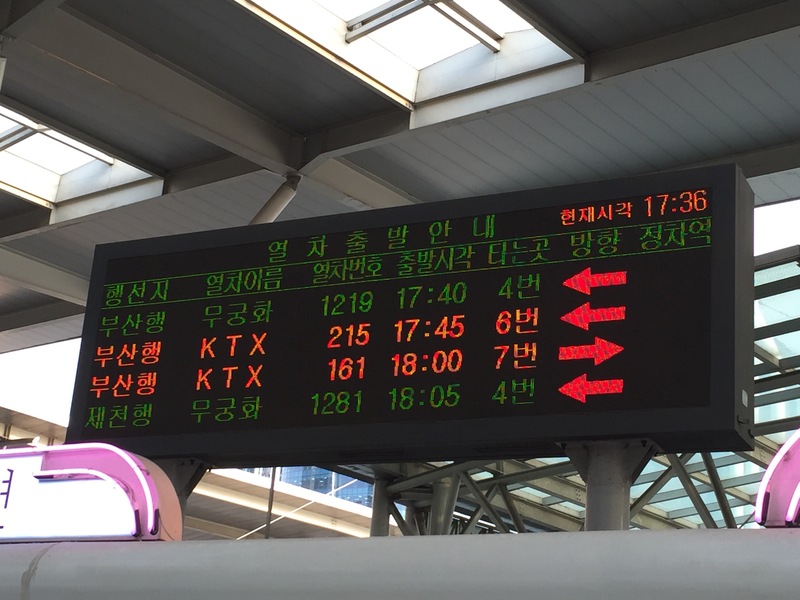 The train to Busan is via Korail KTX train and takes a little over 2 hours and 30 minutes. 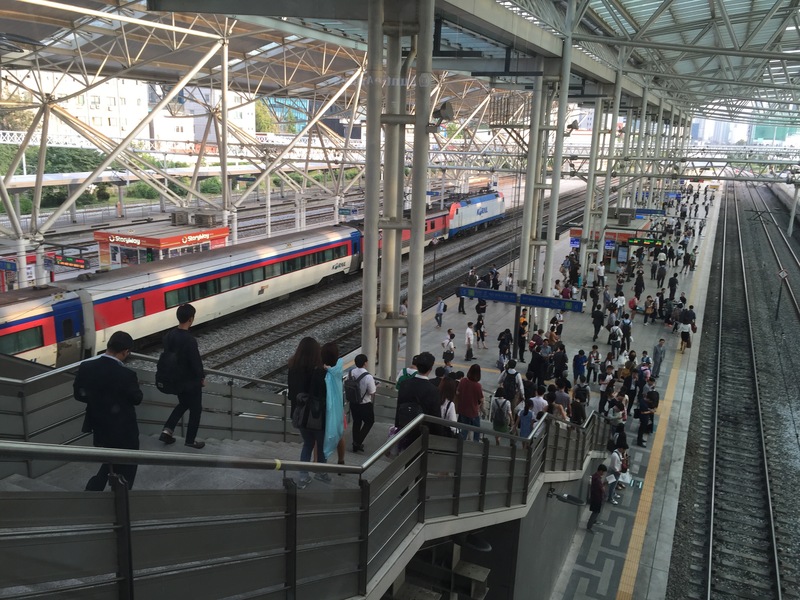 The tickets for the train were not very expensive, economy class is 59,800 won for an adult and 29,900 for a child and first class is 83,700 won for an adult and 53,800 won for a child. The real difference between economy and first class is really that you get a power outlet and “free water” and slightly more space. We opted to go for the economy class and thought it was just fine! You can book your tickets online via: http://www.letskorail.com/ebizbf/EbizBfTicketSearch.do and the website is in English! When you arrive at the station you pick up your tickets (if you booked online), make sure to bring your passport as they ask that information when you booked and need to see it to verify your identity. Next take a look at the signs to determine which track you’re on. 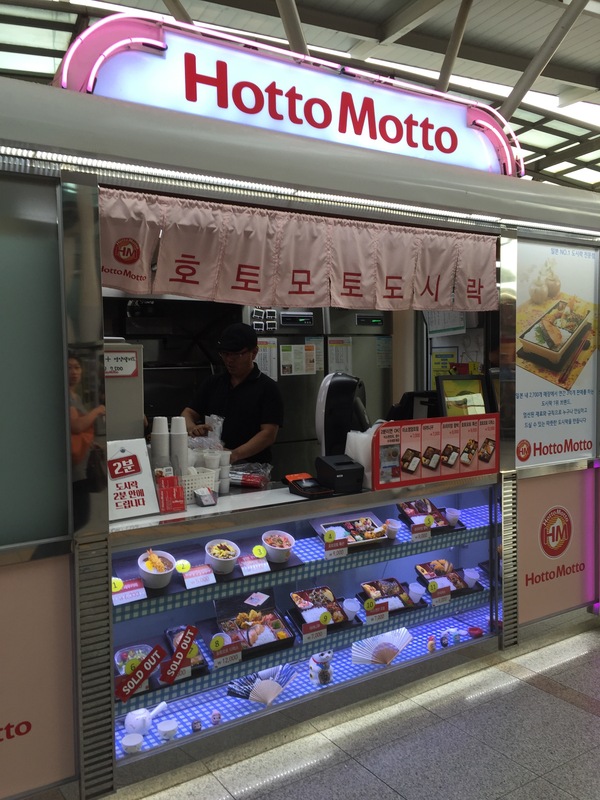 If you need to pick up something to eat or drink there are plenty of places right before you go down to the tracks. 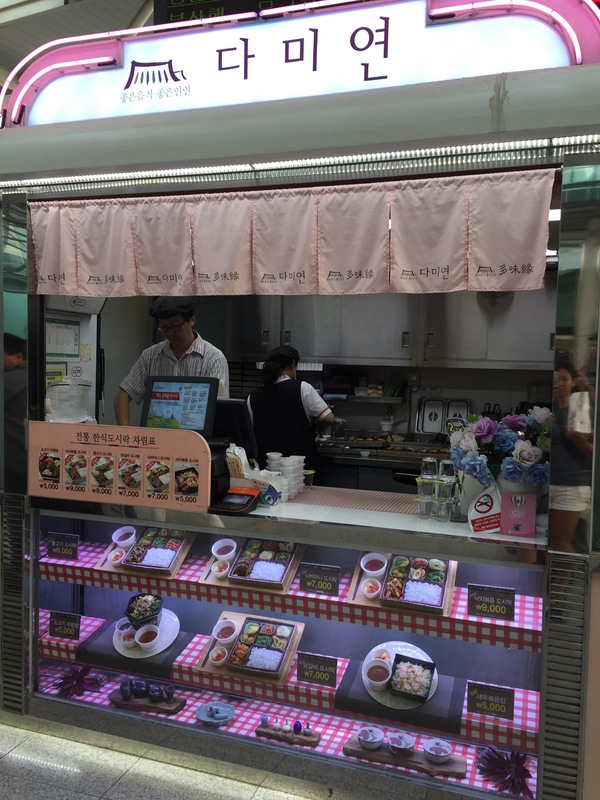 If you forget to get something at the platform you can always pick something up on the train, they serve snacks, beer, coffee, juice, etc. 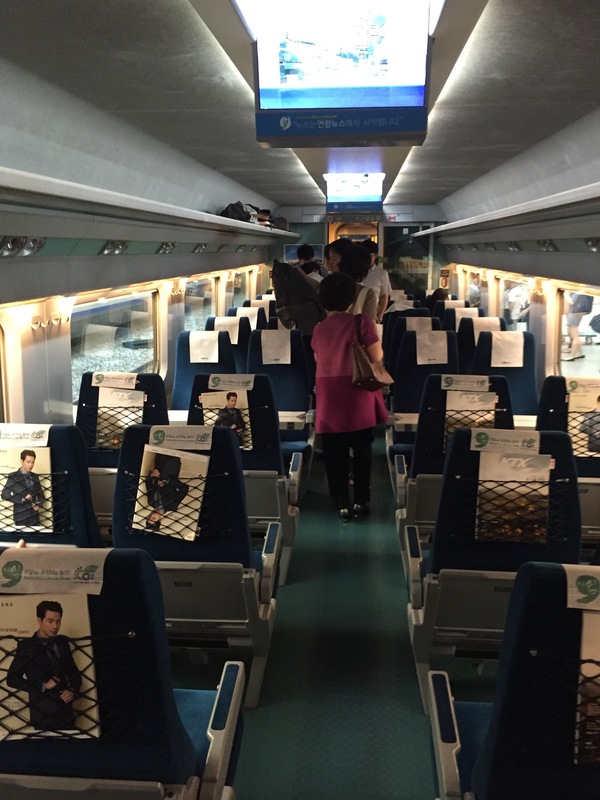 The train itself is clean, but nothing too special. 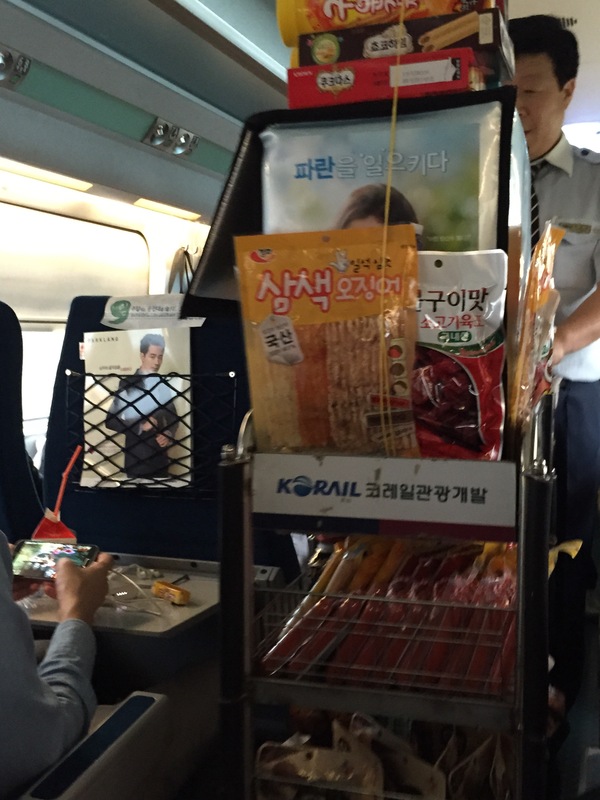 And finally, note that Korail sells standing room tickets as well. So don’t get freaked out when people are standing in the aisles right next to your seat. 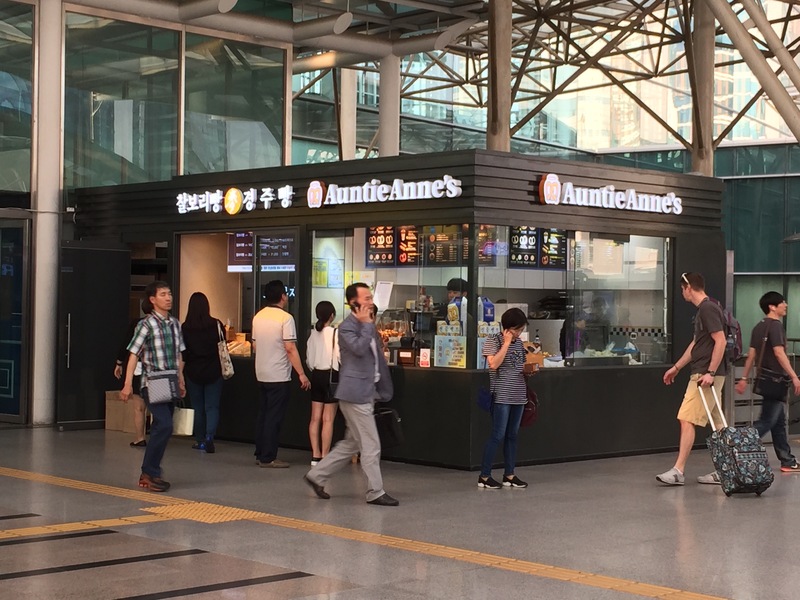 We can’t wait to get to Busan to soak up some sun, eat some of South Korea’s freshest seafood, and check out some cultural sights! Stay tuned for how our trip goes!